If you were planning to stop into Barrett Bookstore in Darien (314 Heights Rd.) next week, they've announced they will be closed the week of Aug. 12 (Monday through Sunday, Aug. 18). Don't panic, though! The indie with the fabulous tagline--"the working bookstore for the reading class"--is not leaving town. They're closing briefly to renovate the store and will reopen Monday, Aug. 19. 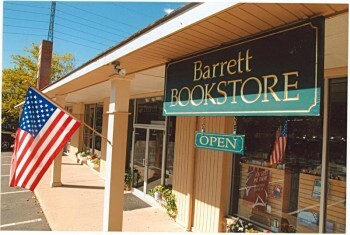 Though their doors will be temporarily closed, their online bookstore will be operational, so feel free to shop away at barrettbookstore.com.